Welcome to the Lotsa site for Michael Mathieu. It's been over 2 years since Michael had his accident. We have come a long way since August 2012. 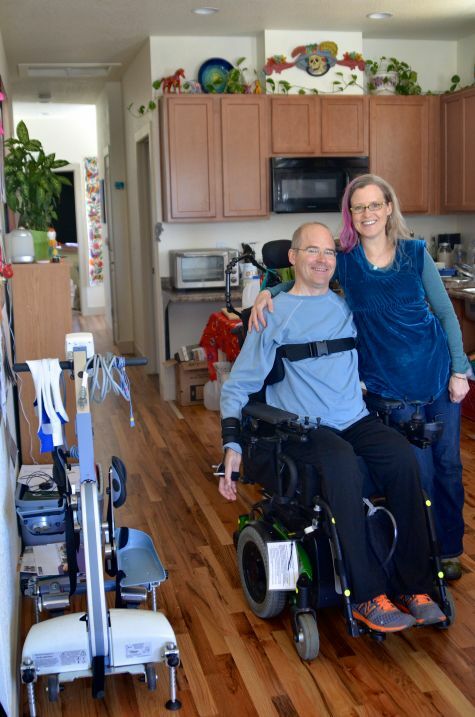 Beth and Michael are now focusing on settling into Boulder after moving into their house and adjusting to this new lifestyle. Michael is working again doing his osteopathic work. Michael is very excited and pleased that he is discovering new ways to continue to do his life's work which he is very passionate about. He is taking new clients if you want to experience his healing touch. Michael continues to go to rehab twice a week. Stay tuned for a new website that will be focusing on Michael's recovery. In 2015 we will also be starting new fundraising efforts. The new website will feature easy ways to give online. We still need to fundraise for overnight care and rehab, because Medicare does not cover this. Thank you for keeping us in your hearts, prayers and thoughts.